NAMM 2012 (USA) Estrenando la guitarra que luego llegaría a Argentina. 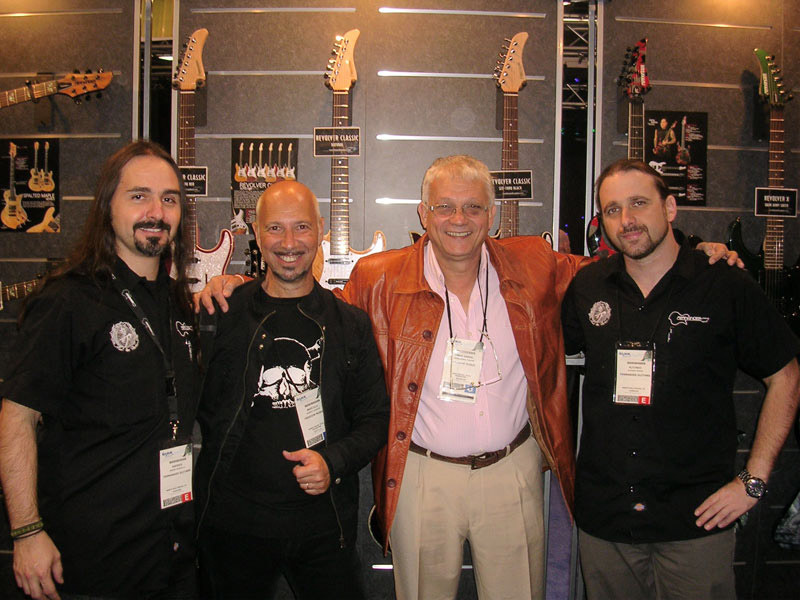 Andrés Jaramillo (Marketing/Artist Relations/International Fernandes Guitars/Hiwatt USA), Marcelo Roascio, Omar Pagone (Freedom Music-La Fusa Argentina), Alfonso Pinzón (General Manager Fernandes Guitars/Hiwatt Amplification). 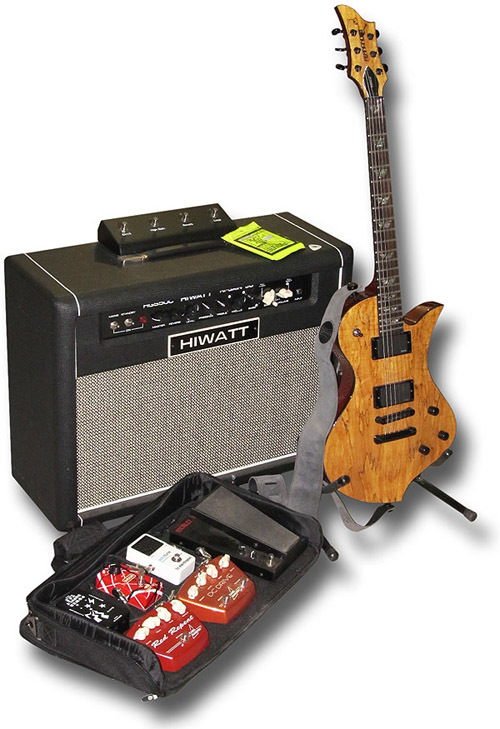 • Roadrunner Pedal Bag c/Morley Bad Horsie 2 wah wah, TC Electronics PolyTune, Carl Martin DC Drive, MXR Phase EVH90, Carl Martin Red Repeat delay, Joyo JP-01 Multi-Power Supply. • cuerdas Ernie Ball Pure Nickel .010 – púas Ernie Ball Signature medium – correa Antitodo c/Ernie Ball SuperLock. * Gracias a: Sebatián Peralta Maciá & Paola Bogado (Slap Music), Nathan Stiff (Ernie Ball), Randy Wright & Bill Wenzloff (Morley/Ebtech); Omar Pagone (Freedom Music-La Fusa), Andrés Jaramillo & Alfonso Pinzón (Fernandes Guitars), Mark Lodge (Hiwatt UK); Gustavo Trardovsky (Antitodo correas).